Options were the House of Bee for the busy ones, the House of Manatee for the gentle and calm ones, the House of Monkey for the intellegent and funny ones and the House of Peacock for the ones showing of a bit (for more information on all houses have a look here). 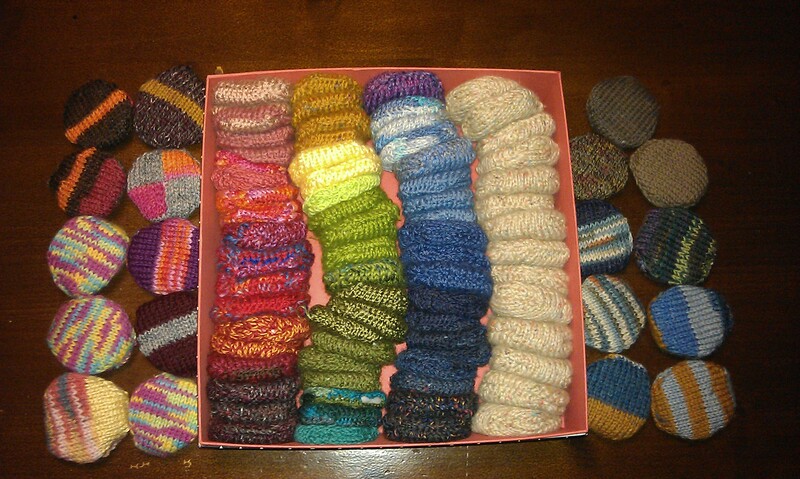 And if that doesn’t convince you, just think of what the hexipuffs will be turned into: a beekeeper’s quilt. I am definitively a Bee! UPDATE: I actually wanted to skip Day 2 topic: “Either think of or research a project that embodies your house, something that makes you think of the qualities of that house.” because I couldn’t think of a mascot project. I seemed to be really blind. I’m already working on it: the beekeeper’s quilt! The name, the shape, the idea that you need to keep yourself busy, plus it actually suits my House Qualities: Every little hexipuff is knit within a very short amount of time, leaving time for other things to do. And look at that hexipuff on the lower right corner. Doesn’t it look very bee like with it’s yellow stripes? 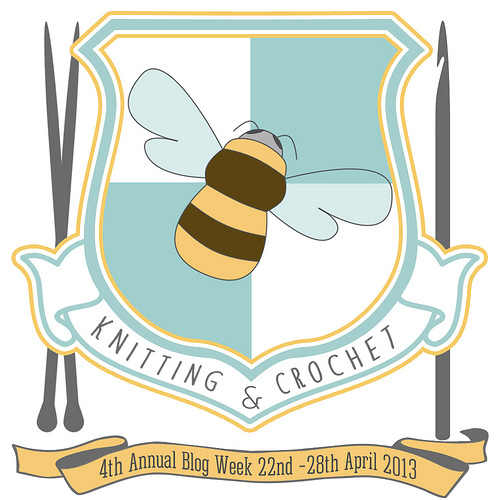 This entry was posted in Knitting & Crocheting and tagged 4KCBWDAY1, 4KCBWDAY2, Crochet, Knitting, Knitting & Crochet Blog Week IV 2013 by kathatravelling. Bookmark the permalink. Also, I think the Noble House of Bees has the most participants. Well done so far for the year! see beekeepers quilt at the end is the clincher! you are a proper busy bee! love it! will swing on by again from house of monkey! Welcome to blog week! You have accomplished a lot of projects this year!